Acrylic painting on a 12″ x 12″ round canvas. For Sale. 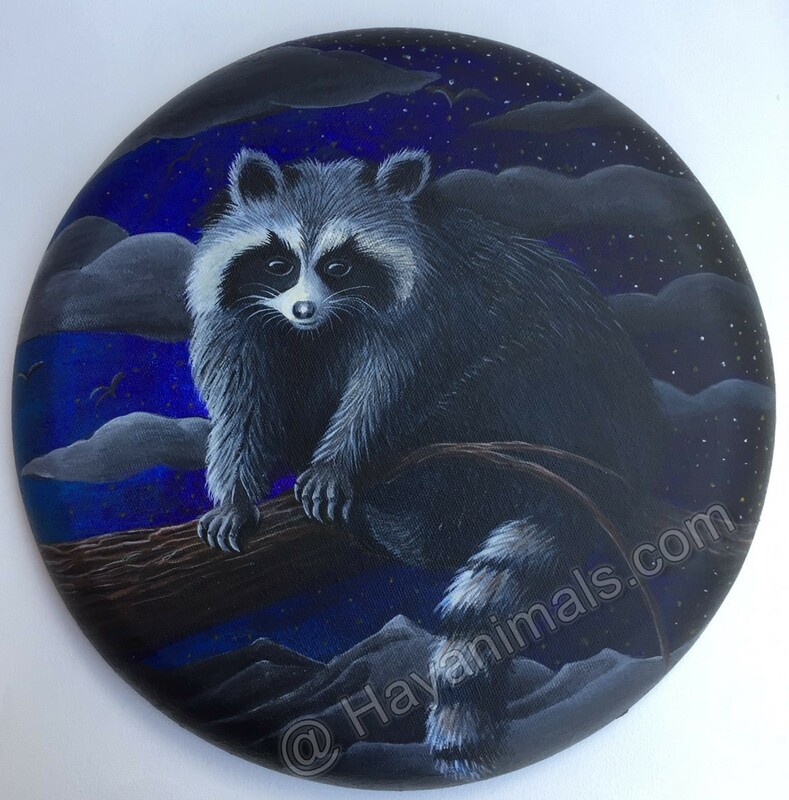 I love Racoons – they are so inquisitvie and curious about everything. I battled with him for some time but finally got him the way I wanted him to look.